I hope everyone is having a wonderful weekend so far. I sure am! 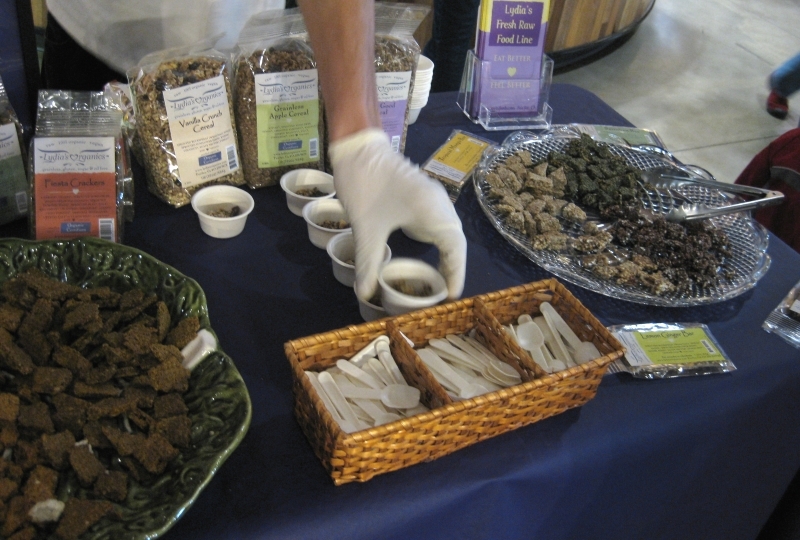 Our local Whole Foods had a Raw Foods fair today that I had a great time at sampling, listening and getting exposed to new products. 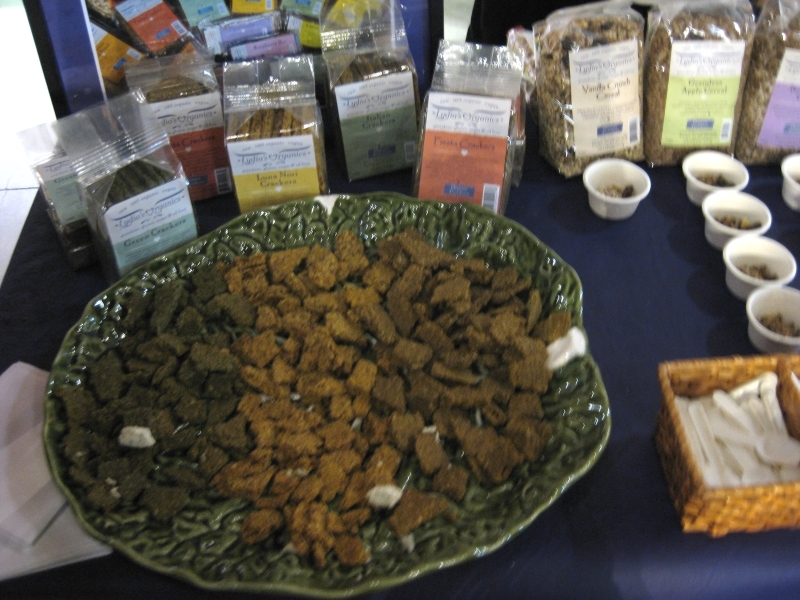 I went to every demo both and sampled more a huge variety of raw treats, what a great lunch! I also took tons of pictures, literature and take-home samples. Whew, where to start?! 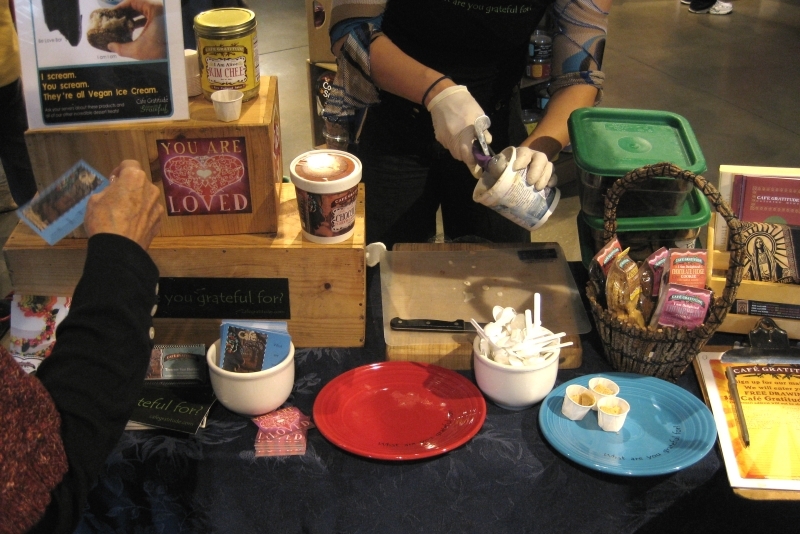 I was thrilled to see a Cafe Gratitude booth, I sampled everything and the chocolate chip ice cream was fantastic! 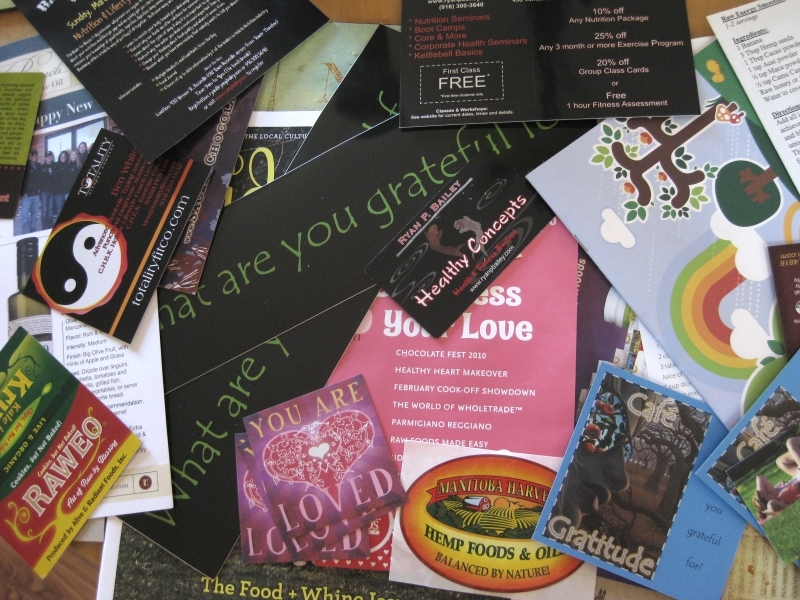 I grabbed a few bumper stickers and love stickers that I adore and am thinking of adding to my collection of organic produce stickers on the side of my fridge. Mmmm, Chocolatl raw chocolate, though I did not buy because I had to limit the amount of raw chocolate in my cart! 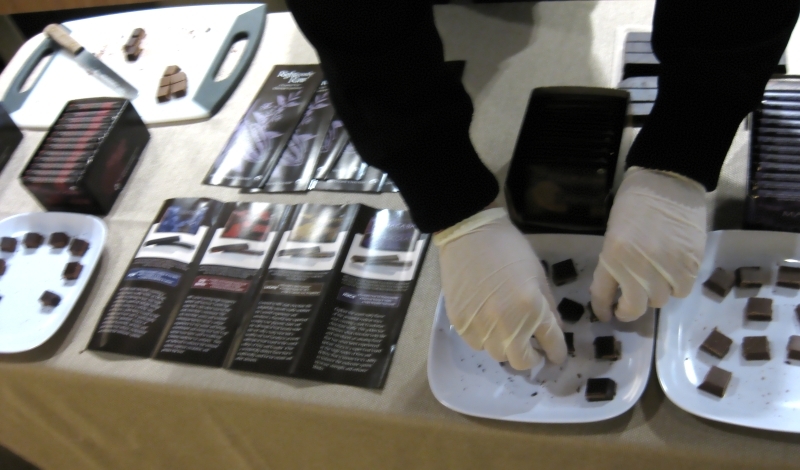 :-) But, also because the samples were in messy shards, hard to grab and really taste. 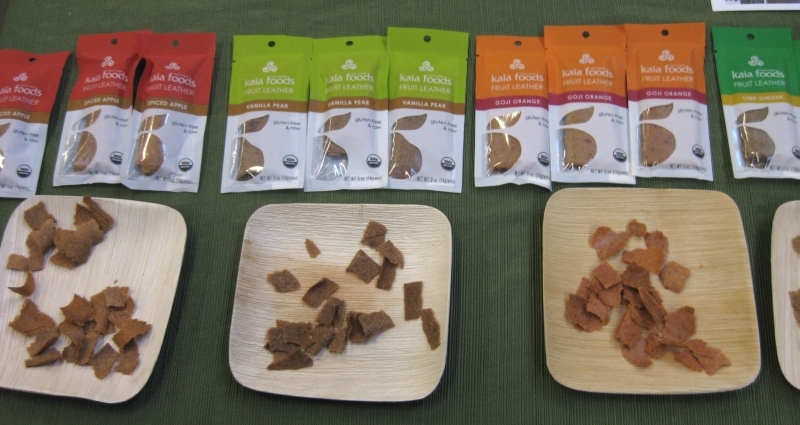 I sampled a few of these Kaia Foods Fruit Leathers, but was not super impressed, they weren’t that sweet and were kinda flimsy. These would probably be a great snack for kids and the small, thin packaging makes them easy to carry in purses and baby bags for emergency snacks. 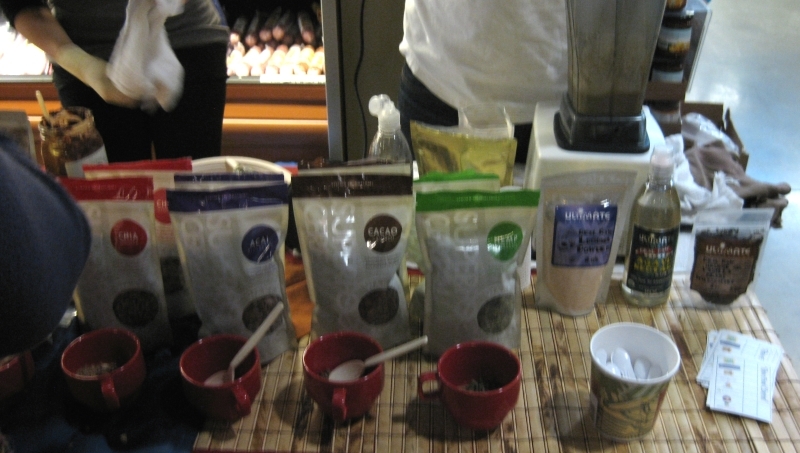 I sampled every L.O.V.E Cup from Chocolate Superfoods and ended up taking a Dark Cacao Cup home for hubby, but they were all good! 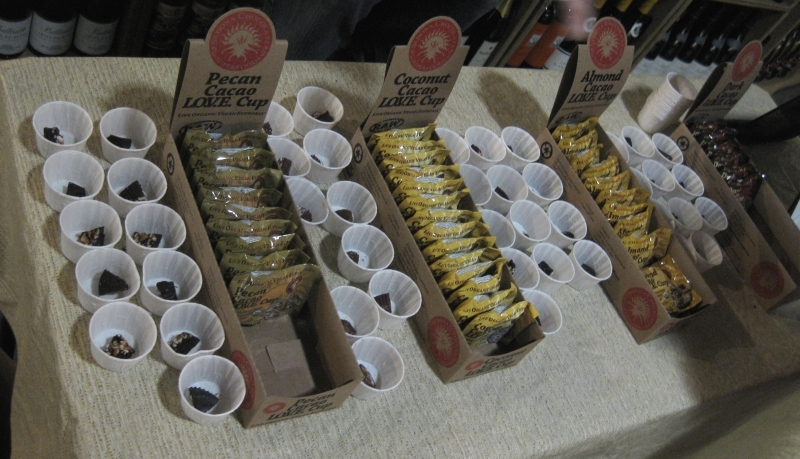 Lydia’s Organics had a wonderful table sampling crackers, cereals and crunch bars and I had to try at least one of everything. 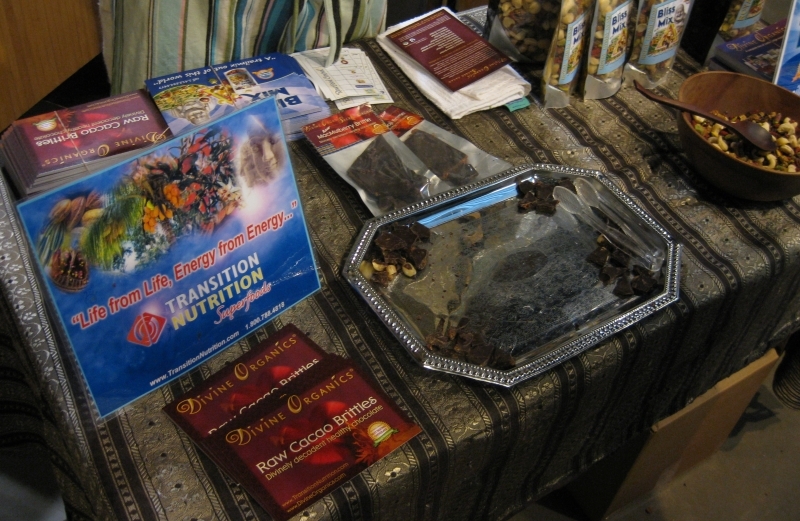 I really liked the Fiesta Crackers, Vanilla Crunch Cereal and Cacao Crunch Bars. 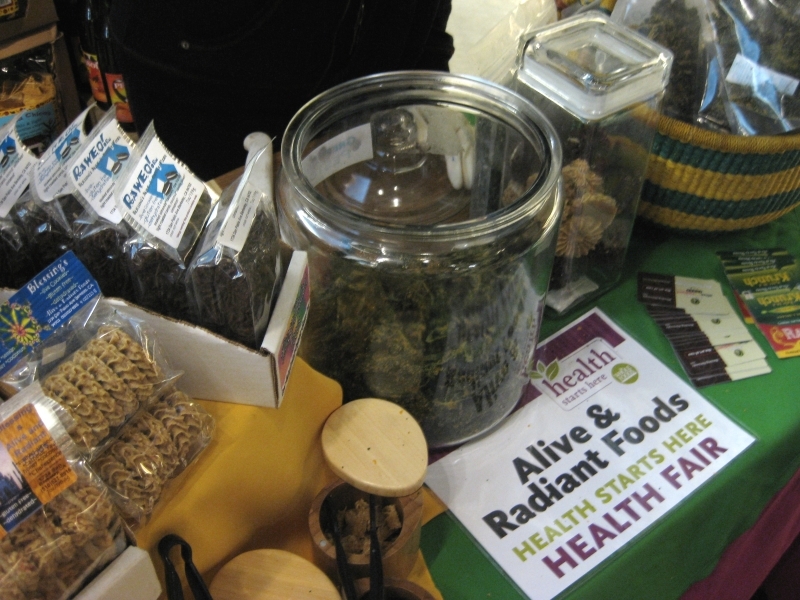 I got a few raw hemp seed sample packets from Manitoba Harvest, perfect for smoothies or salad toppings on the road. 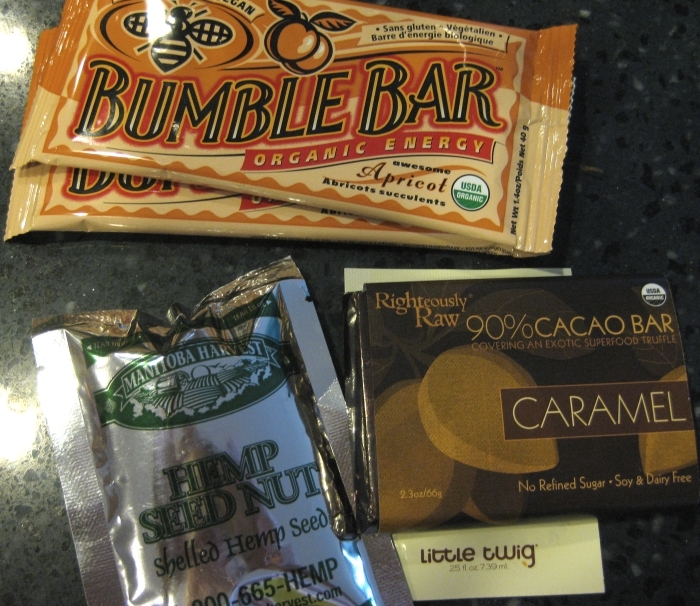 The Righteously Raw table from EarthSource Organics was sinfully good because the bars were sampled in large square bites, easy for grabbing and really tasting each flavor. I ended up taking home a caramel bar for hubby. 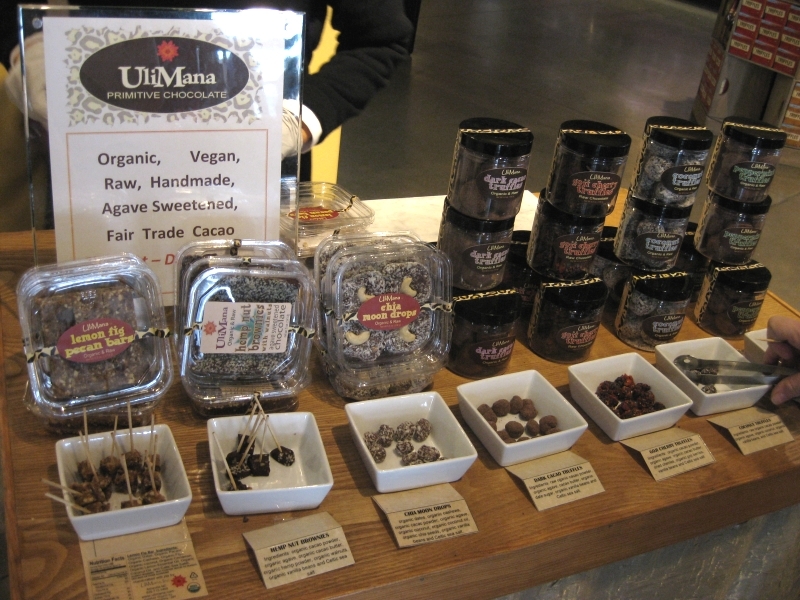 I sampled many flavors from UliMana and thoroughly enjoyed them all! 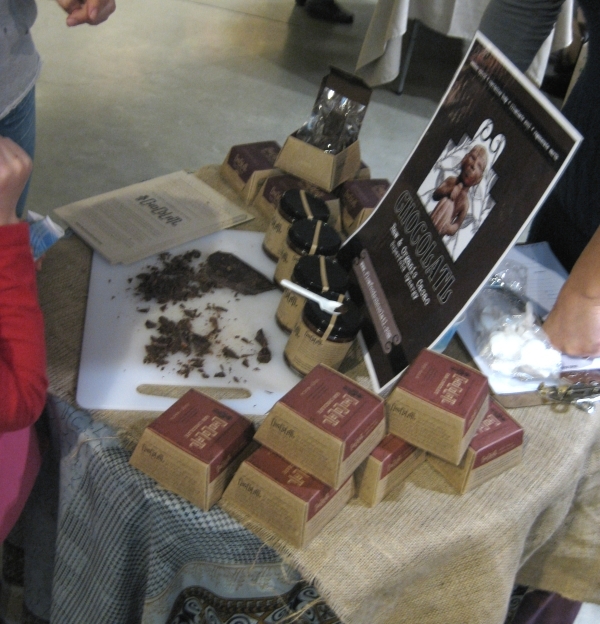 My favorites were the Goji Cherry Truffles and Dark Cacao Truffles. 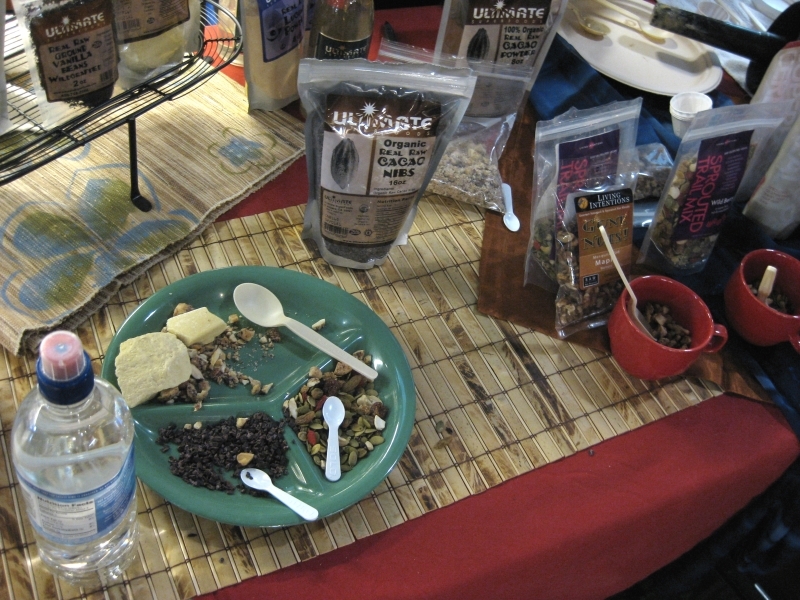 The Ultimate Super Foods was another sinfully good booth because there were two reps creating custom sample raw sundaes in a Vita-Mix for customers and letting them pick their toppings. I had a green hemp topping on mine, wonderful! 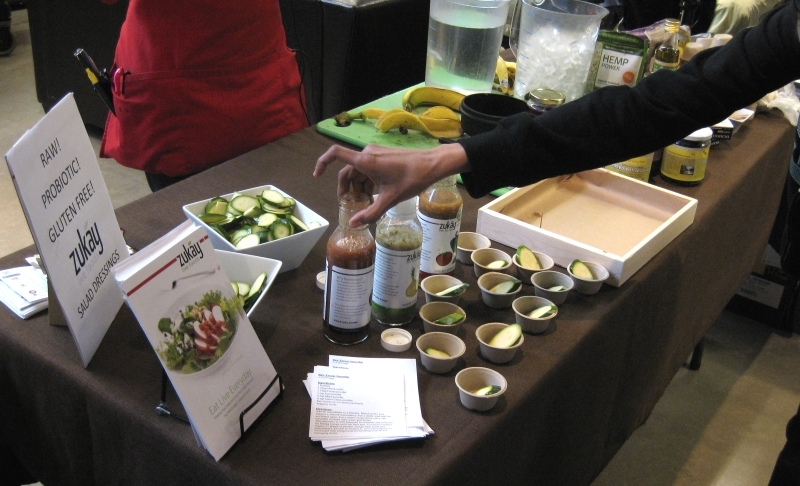 The Zukay demonstration was very cool, I got to sample a few fermented veggie dips and an amazing banana acai hemp smoothie being whipped up on the spot. I got a lot of loot from the fair and got to see many Vita-Mix’s in action. 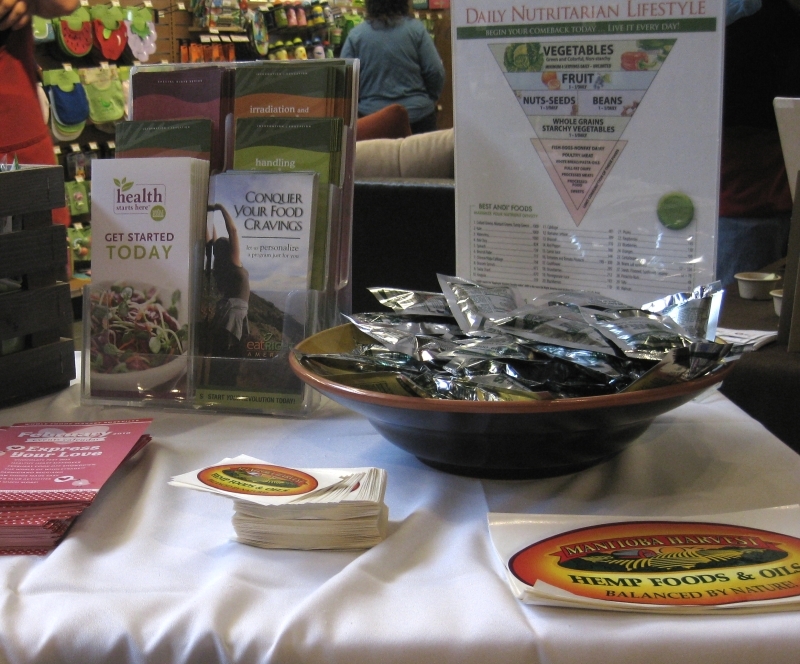 I also got to see and talk to many other raw foodies and I even ran into a few co-workers and friends just getting into it which was great! When I first arrived at 10 AM, it was not too packed, understandable for that early on a Saturday. But by noon, it was packed, demo seats were filled everywhere and overall the event seemed like a huge success. 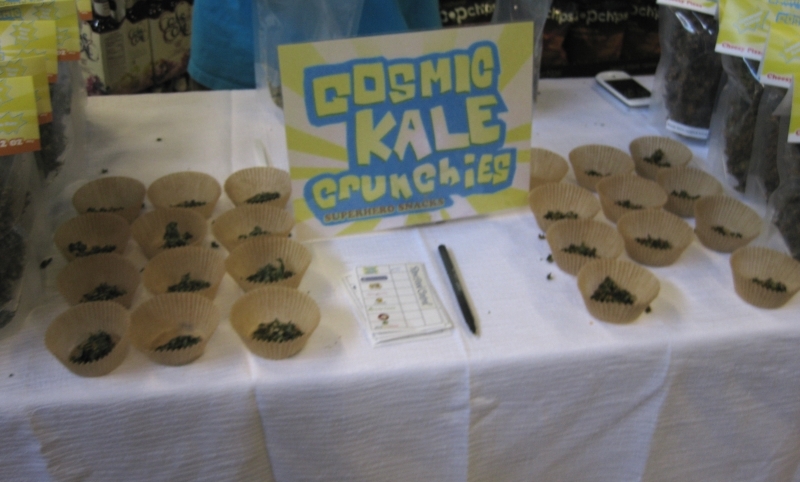 Very encouraging and I hope Whole Foods will continue to have more raw events. I can hardly stand the deliciousness! Such a shame raw treats are so expensive though. 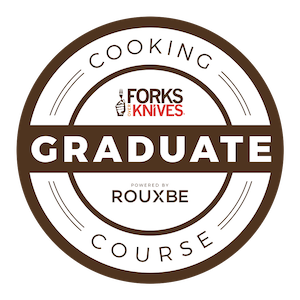 All the more reason to make our own! I completely agree, $8 for a small chocolate bar?! But it does keep me out of trouble and savor it more when I have it. Hi, Can i get a one small pic from your blog?